The Home User License permits a single person to use the software personally on multiple computers at home. The Corporate License entitles an organization (corporation, company, enterprise...) to receive one copy of the software and to install it on multiple machines within one organization at single location. The Technician License is meant for Data Recovery Companies. It can be used for the purpose of providing services to the customers. Mailbox conversion with emails, attachments, contacts, calendar etc. The delivery of Kernel product is automated. 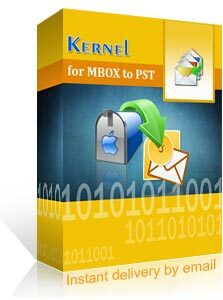 You will receive an email containing both the link to download the Kernel product and the activation key within 15 minutes. You can order for Kernel products through P.O as well. The orders should be sent through E-mail or FAX to our authorized reseller Digital River GmbH (Share-it). Know more about purchase order. You can purchase Kernel software from our reseller partners. Contact to any of our resellers in your country to get your Kernel software. Find Resellers in your country. Kernel® is a Registered Trademark of Lepide Software Private Limited. © Copyright 2019 Lepide Software Private Limited. All Trademarks Acknowledged.